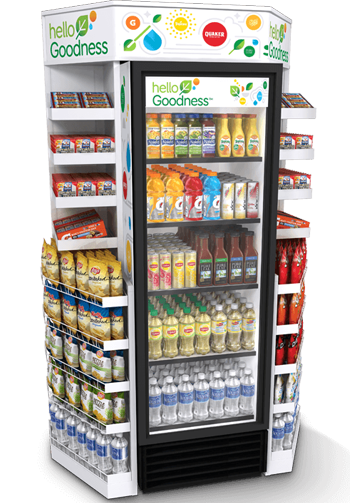 Make Hundreds Of Products Conveniently Available To Employees With a More Open Concept Self-Checkout Breakroom. 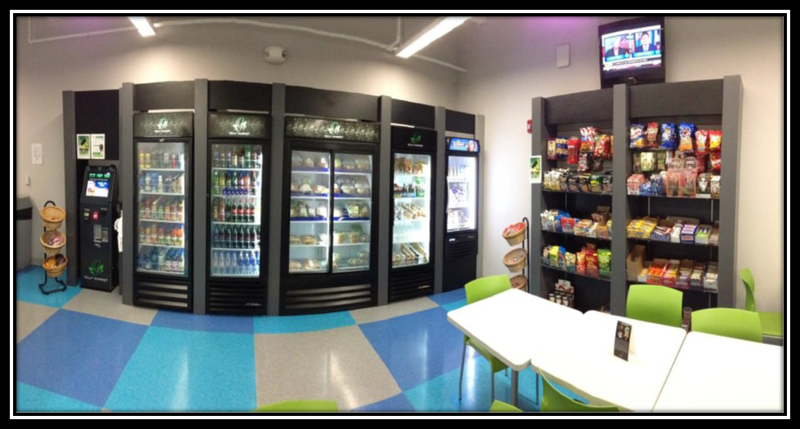 We are a leader in providing breakroom modernization, replacing vending machines with convenience store style markets. Think outside the box with open shelves and glass coolers that offer employees more beverage, snack and food options for sale right in the break room. Employees can get exactly what they want without leaving work. 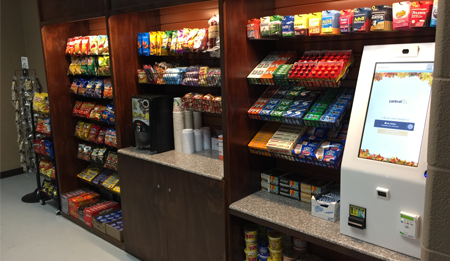 Your new "on site convenience store," will be designed, built, and installed exactly to your specifications, by our expert staff. 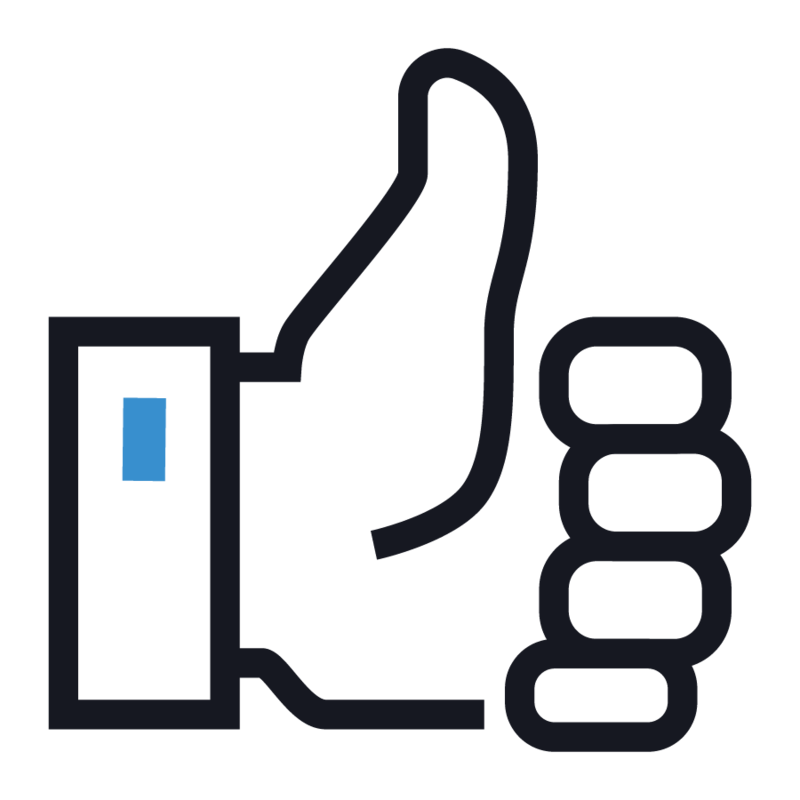 We are locally owned and operated - you will deal directly with the owner - who has over 30 years experience in the food service industry. 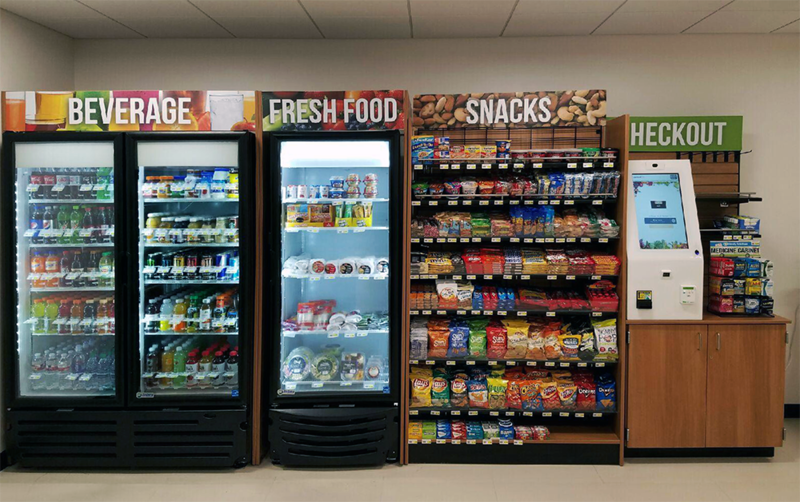 Watch below to explore how self-checkout breakrooms work! Customers are quickly taking to this novel way of buying a quick snack or lunch...and with good reason! 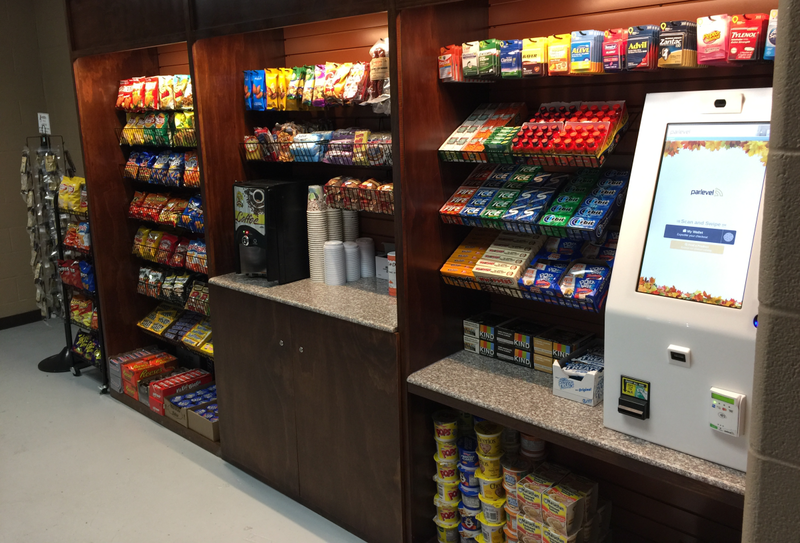 Self-checkout break rooms offer a much wider and healthier range of products than the traditional vending machines and accept convenient payment methods, such as a debit or credit card, or mobile phone. 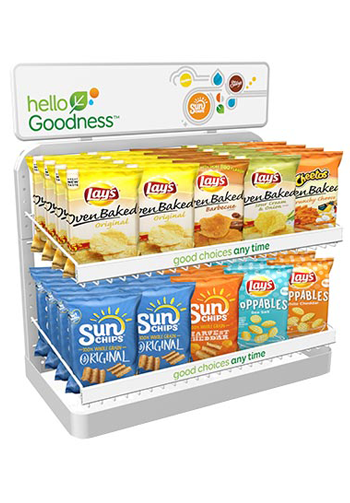 The Checkout Kiosk Is Easy To Use, But Fully Featured. 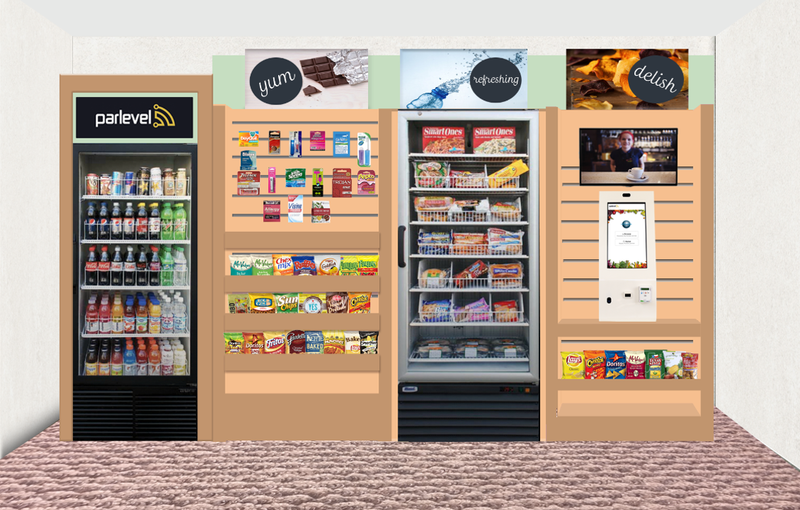 Employees can shop the micro-market at any time using the self-checkout kiosk. 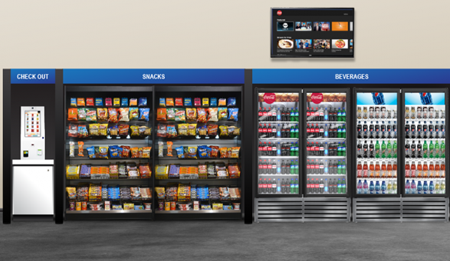 Vending is increasingly adopting biometric technology, such as fingerprint scanning, as a form of payment, allowing customers to do away with passwords, personal identification numbers (PINs) and cards. Speed up transacation time! Scan your product barcode or search for it in full product catalog. Accepts $20s, $10s, $5s and $1s with the ability to recycle a single denomination of bills ($1s or $5s), so customers aren't limited to receiving coins as change. Pay directly with your cell phone utilizing a variety of mobile payment platforms. 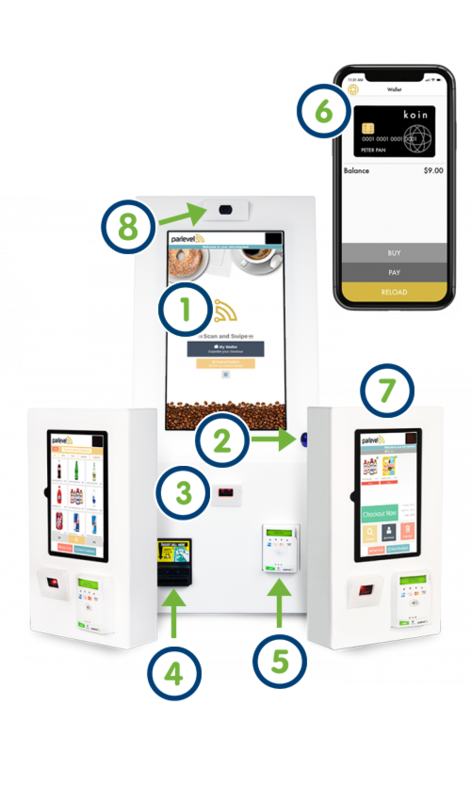 Including Apple Pay, Android Pay, and many other NFC payments! Don't carry cash or forgot your wallet at home? 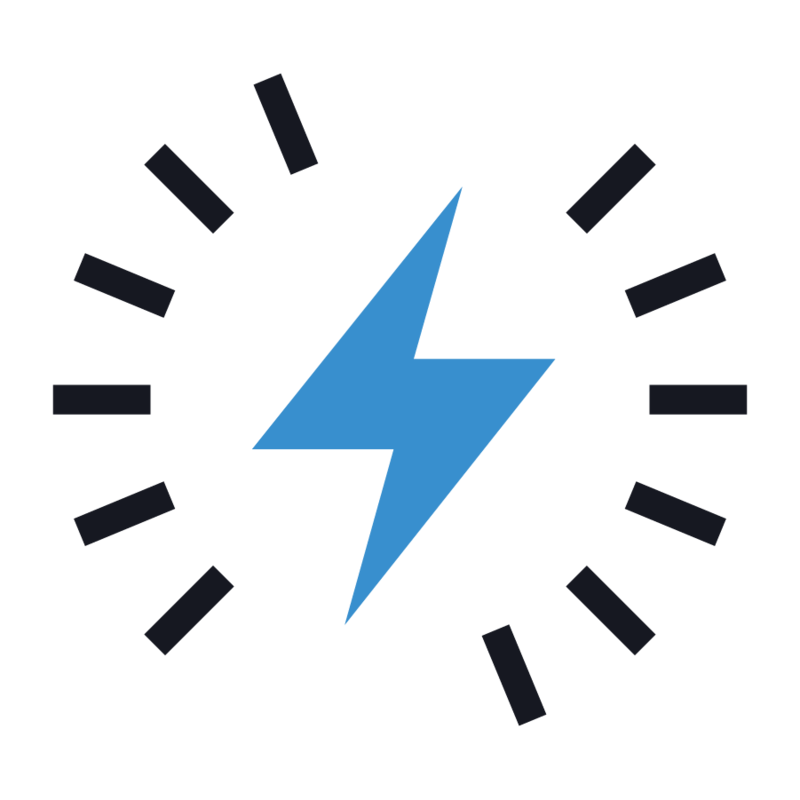 Market app allows your employees to create a preloaded account to pay for items. 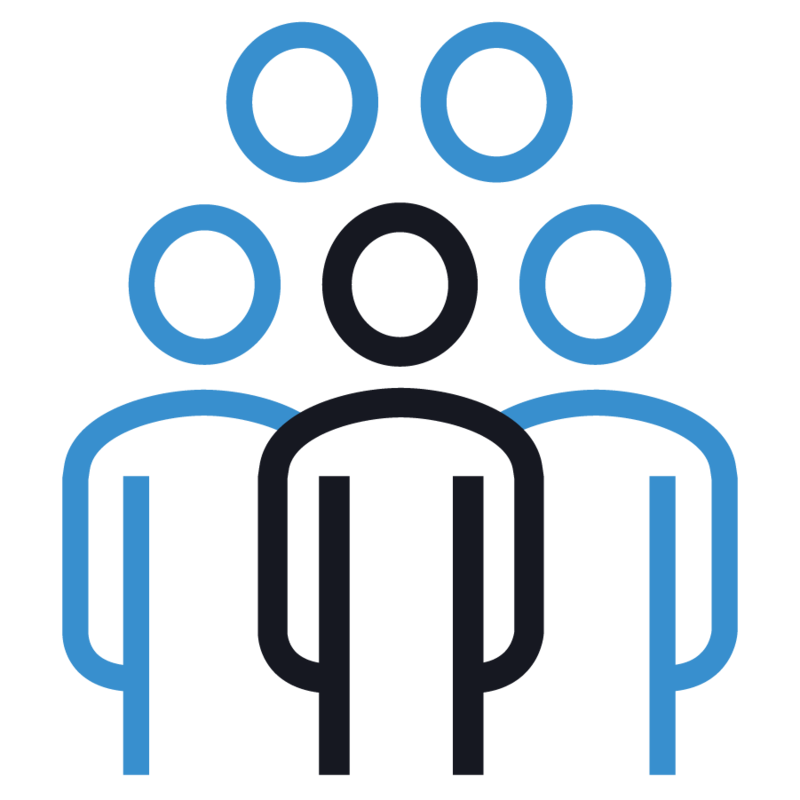 Your employees can access the wallet via scanning a FOB, user number and PIN, or simply swiping their fingerprint. 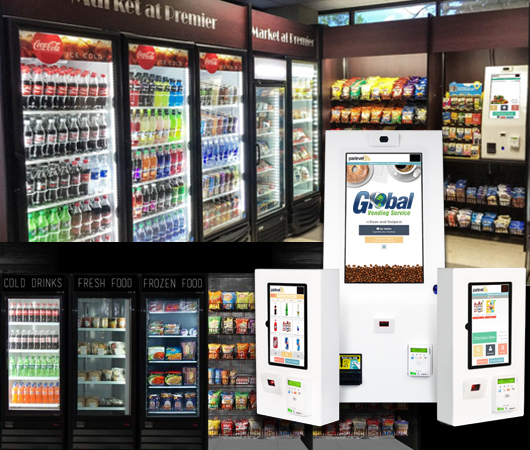 Our full-convenience layout is made for smaller offices in mind - Micro Market Mini can fit in locations that traditional kiosks cannot. Eliminate potential theft with a front-facing webcam with motion detection. A Market Designed Just For You. 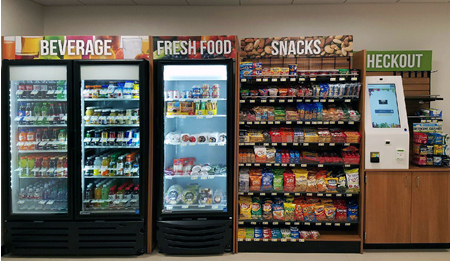 Our full-convenience layout is made for any breakroom in mind, and these layouts can be customized to fit your location's needs. 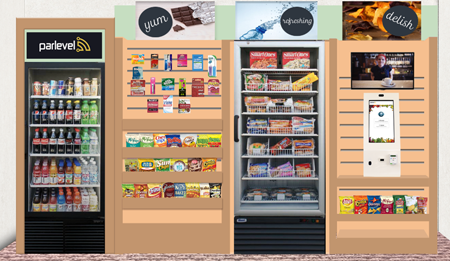 Do your employees love refrigerated snacks? 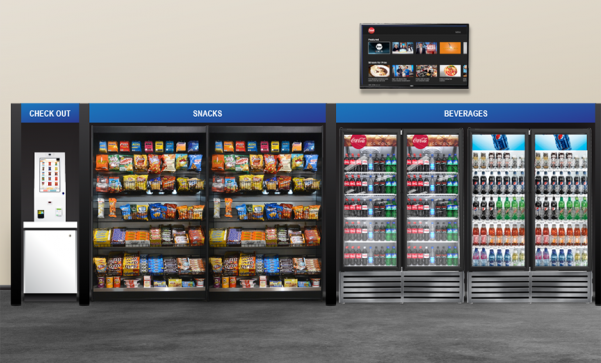 Choose our Snack Cooler Layout. Do they prefer more traditional snacks like chips and snack bars? Go with the Extra Snack Shelf Layout. Maybe your employees are java lovers? The Coffee Station Layout will keep them energized. No matter your preference, there is a micro market layout for you. Need External Cameras, Dedicated Internet, or Micro Market signage? We got you covered. We'll help you get everything you need for a profitable Market. 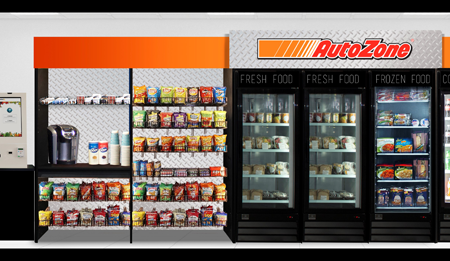 Your new "on site convenience store," will be designed, built, and installed exactly to your specifications, by our expert staff. 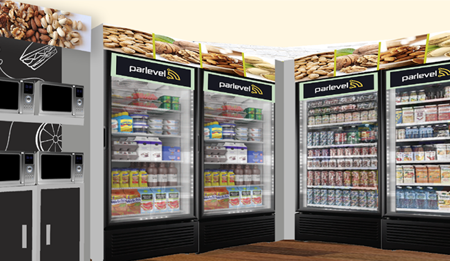 Choose different shelving layouts, cooler quantities, and freezer types. 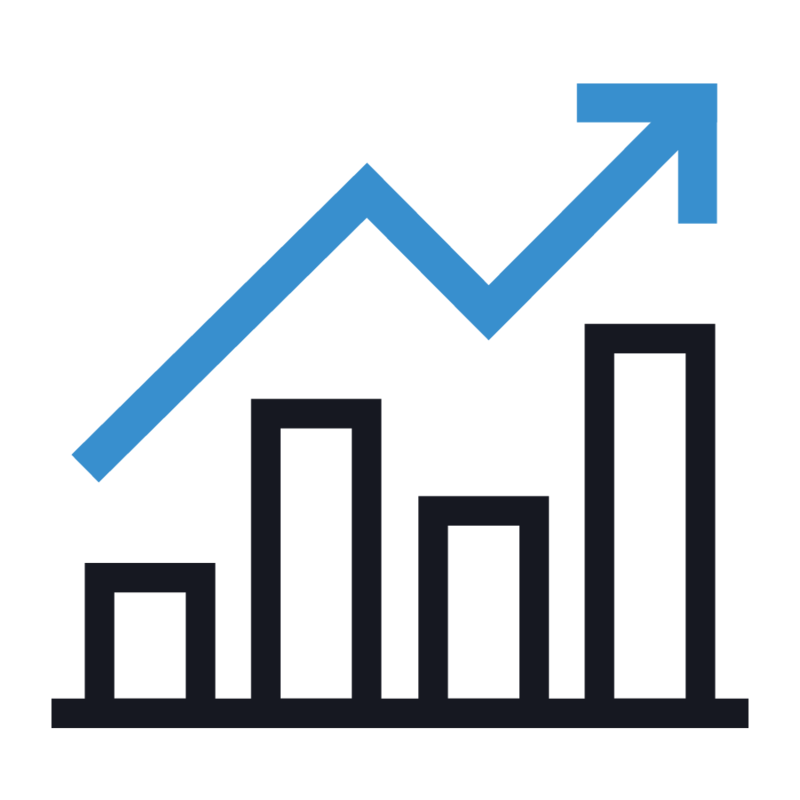 We have the tools to ensure your Market setup is exactly how you want it. We are locally owned and operated, you will deal directly with the owner, who has over 30 years experience in the food service industry. We understand our responsibility as a food service provider to encourage people to eat and live healthy. 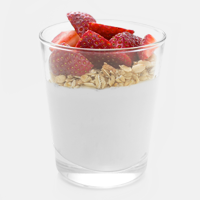 Our healthy options program provide fresh and nutritious snacking alternatives for our clients. 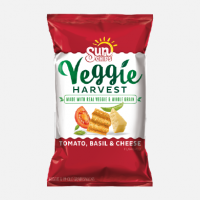 Your micro-market can be stocked with 100% healthy and organic snacks. 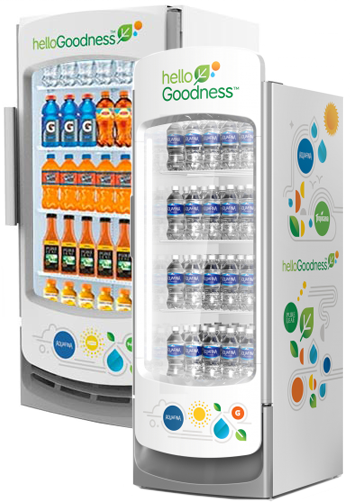 A wider variety of healthier food and drinks is available with the added space and open design. 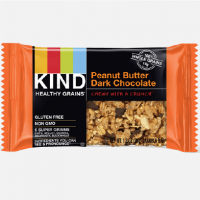 Light snacks Including but not limited to chips grain snacks, trail mix, & more! 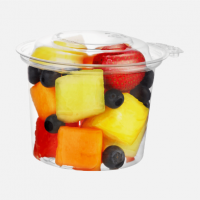 A variety of fresh fruit will be at your employees' disposal. Vegetable Trays & Fresh Salads. 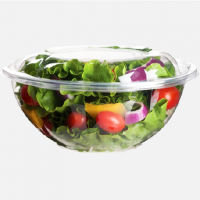 Enjoy filling and healthy salads that will power you through any work day. Shelf stable meals & meal kits. 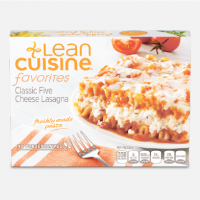 Leaner/healthier frozen meals & entrees. Natural meat snacks & packaged fish. 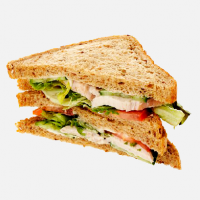 A variety of fresh delicious sandwiches and wraps to keep your employees satisfied. 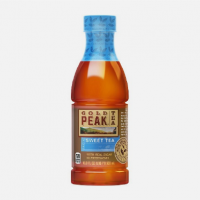 It's not enough to offer snacking-to-go. Consumers are looking for the kind of convenience that fits their desire for a healthier lifestyle. That means the trusted brands from PepsiCo they know and love. 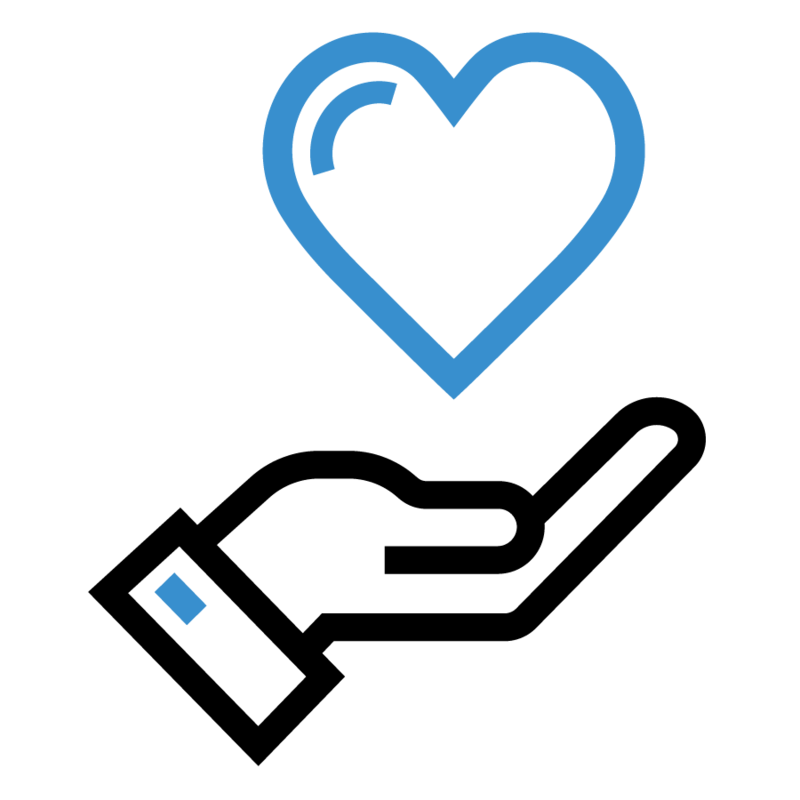 Hello Goodness™ offers a wide portfolio of Good-For-You and Better-For-You products that provide fuel for sustained energy and satisfying products that enhance well-being. 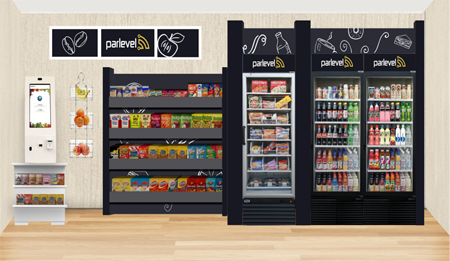 Convenience: Breakrooms are open 24/7 - shop, scan and enjoy! 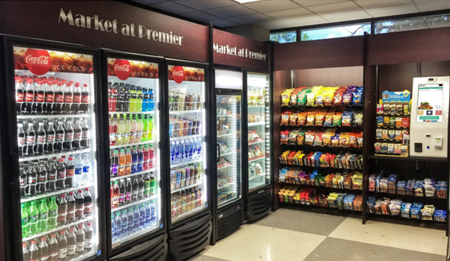 More than just a food service, Micro Markets are a powerful tool that allows businesses to support healthier lifestyles for their employees. By serving fresh, healthy food options in an open market style, Micro Markets are a true employee benefit and helps to encourage workplace wellness. 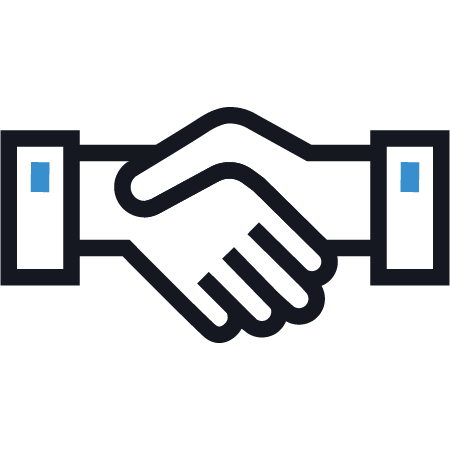 One of the most important objectives for any successful business is attracting and retaining the best people. In order to do this a company needs to consistently look for ways to improve their workplace culture through benefits, incentives and compensation. 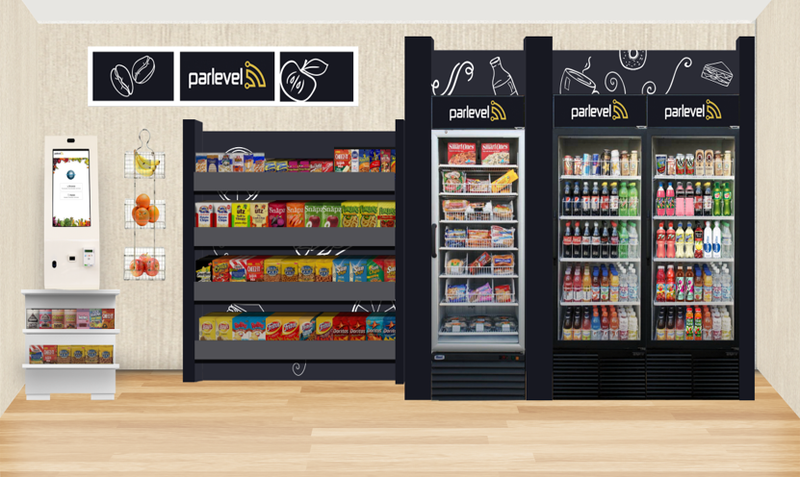 A Self-Checkout breakroom is a phenomenal incentive. 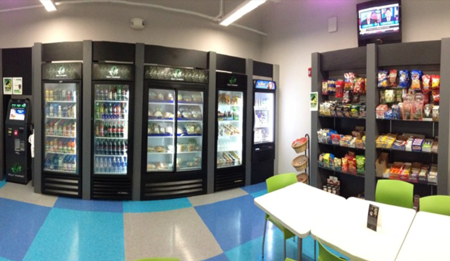 Refresh your Florida break room while offering more of the brand name products your employees value and trust.